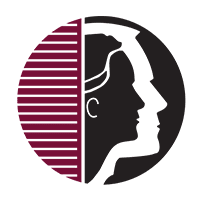 About Southern ENT Associates For quality and unsurpassed ear, nose, and throat care in Southeast Louisiana, go to the otolaryngologists at Southern ENT Associates. Serving patients in the area since 1975, the experienced physicians, nurse practitioners, and technicians offer great skill and extensive training in treating conditions of the ear, nose, larynx, and upper respiratory tract. Peers highly regard these physicians as experts in their fields, and several of the doctors have been recognized as “TOP DOCS” by New Orleans Magazine. Members of the practice belong to Alpha Omega Alpha, one of medicine’s most prestigious honor societies. The number one priority of Southern ENT Associates is the well-being of children and families in the community. The practice provides a variety of services that are usually only offered in large metropolitan areas. These include a full range of hearing and balance testing, pediatric ENT services, facial plastic surgery, sinus surgery, allergy testing and treatment, and spa specials. Use the online booking agent to make an appointment with the trusted experts at Southern ENT Associates, or call one of the offices in Thibodaux, Houma, Raceland, Morgan City, New Iberia, Youngsville or Opelousas, Louisiana.